Form a small loop leaving enough rope for the desired loop size. 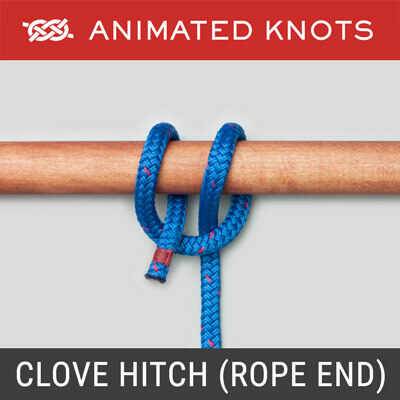 Pass the end of the rope through the loop as though making an overhand knot. Continue around the standing end and then back through the small loop. Uses: The Bowline (ABOK # 1010, p 186) makes a reasonably secure loop in the end of a piece of rope. It has many uses, e.g., to fasten a mooring line to a ring or a post. Under load, it does not slip or bind. With no load it can be untied easily. Two bowlines can be linked together to join two ropes. Its principal shortcoming is that it cannot be tied, or untied, when there is a load on the standing end. It should therefore be avoided when, for example, a mooring line may have to be released under load. Comparison: The Bowline and the Water Bowline are linked here for easy comparison. Name: The name Bowline derives from "bow line". The Bow Line Knot secured the line holding the weather leech of a square sail forward to prevent it being taken aback. Shakes Undone If Not Loaded: When a bowline is unloaded, it can very readily work its way untied - I know, it has happened to me while swimming! Fortunately I only lost a scrubbing brush. Eskimo Bowline: This is an alternative method of creating a loop at the end of the rope. The knot is tied around part of the loop instead of around the Standing End. It is preferred when the loop will be stretched wide and is also claimed to better resist shaking loose. One Handed: The bowline can be tied with one hand - useful if injured, essential if you are using the other hand to hold on to the line or the boat! 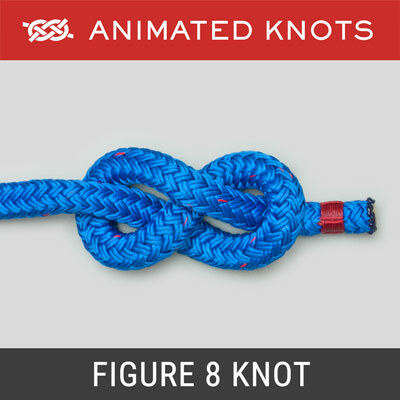 Length of Tail End: An intermittent load, e.g., on a mooring line, may cause many knots to slip or loosen. The bowline is relatively tolerant of such stresses. Nevertheless some texts quote a rule of thumb which states that, for safety, the length of loose end should be 12 times the circumference. A half-inch diameter rope would require a tail more than eighteen inches long but this is rarely seen in practice. 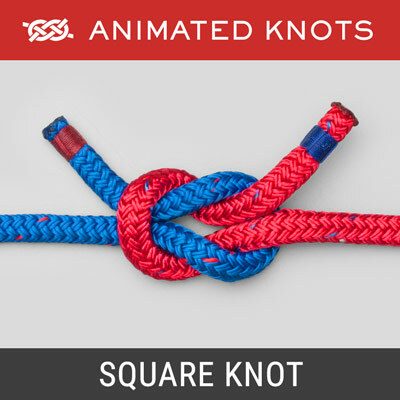 Safety Knot: A Bowline should be used with great care when climbing. It is too easily tied incorrectly and can also shake loose. 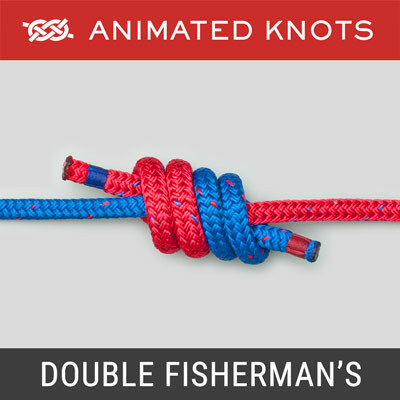 A Safety Knot is essential, e.g., a Double Overhand (Strangle Knot) can be tied around either the adjoining loop (left) or the standing end (right). Yosemite Tie-off: A widely used alternative passes the tail around outside the loop and back under the collar to form a Yosemite Tie-off. Tighten the Bowline first and then tighten the Yosemite Tie-Off. Failure to do so can result in a slip knot. Error is possible: Whichever safety knot is used, it must be inspected and stress-tested – but not in the direction of fall! 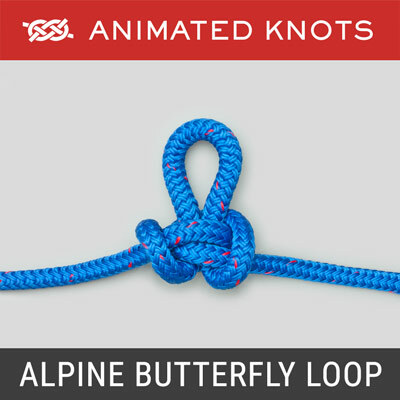 Left Handed Bowline: When tied as shown in the animation, the tail end lies in the middle of the loop. However, if the end is passed the opposite way round the standing end, it forms a "Left Handed" bowline (ABOK # 1034 1/2, p 188). 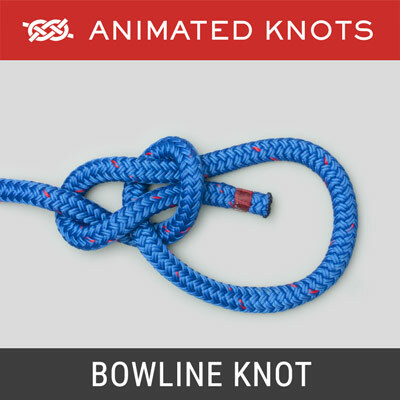 The left handed version performs satisfactorily and withstands ring-tension (a distending force applied either side) better than the standard bowline. However, the tail end is more likely to catch an adjacent rope or spar.